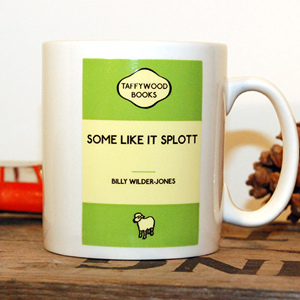 Our mugs look fantastic, make perfect gifts, and guarantee a chuckle with every cuppa. 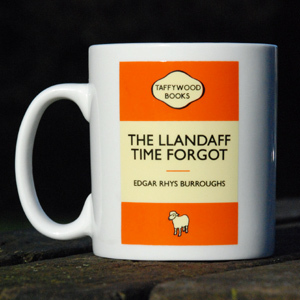 So, best get yours today – they're selling like hot Welsh cakes, bach! 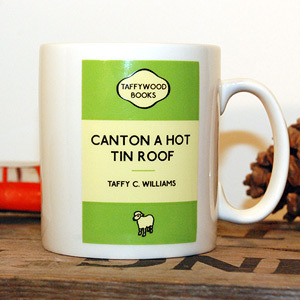 Twenty amazing Taffywood mugs available! Save on postage by 'ere! 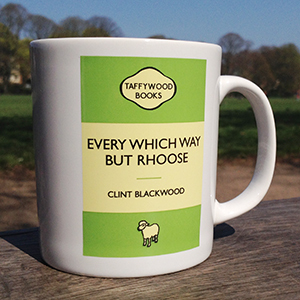 BUY 2 or 3 MUGS BY ERE! 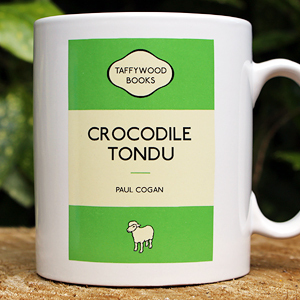 Crocodile Tondu, £8.95 – NEW! 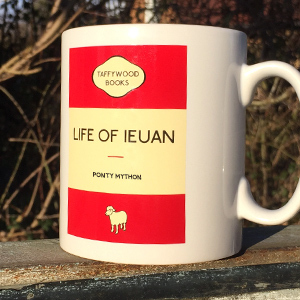 If buying two or three mugs, use the Save On Postage forms! 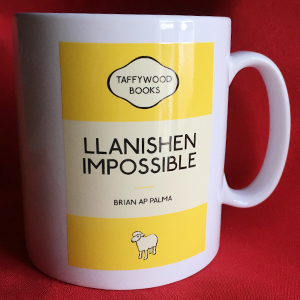 Taffywood Cards and t-shirts also available! 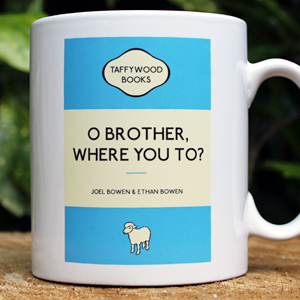 O Brother Where You To?, £8.95 – NEW! 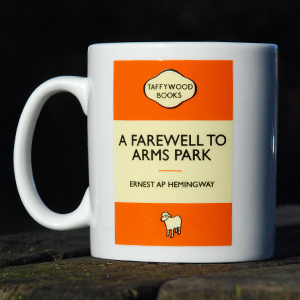 Each mug has its design printed twice, one on each side. 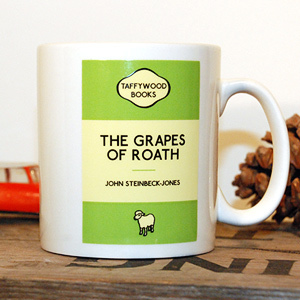 They feature a high quality, pin-sharp print finish (rather than a blurry transfer) and are microwave/dishwasher safe. They look fantastic and are sure to lighten anyone's mood or create a buzz in the office. 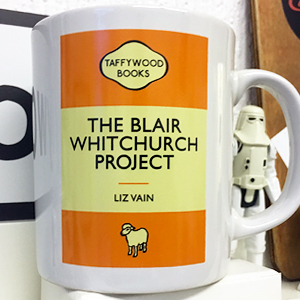 Tea breaks just got more fun. 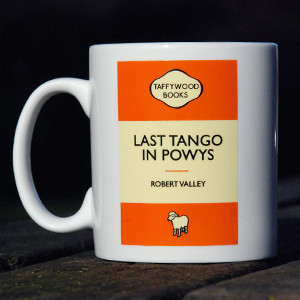 Mugs are £8.95 each, £11.55 with First Class postage, delivered anywhere in UK. (Even England. Joke!) 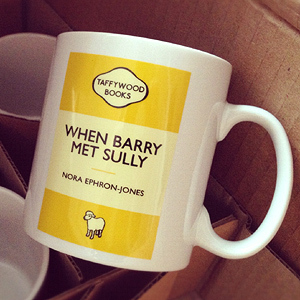 We can send up to 3 mugs for the same postage price as one. To take advantage you must order using one of the 'Save on postage' forms above. 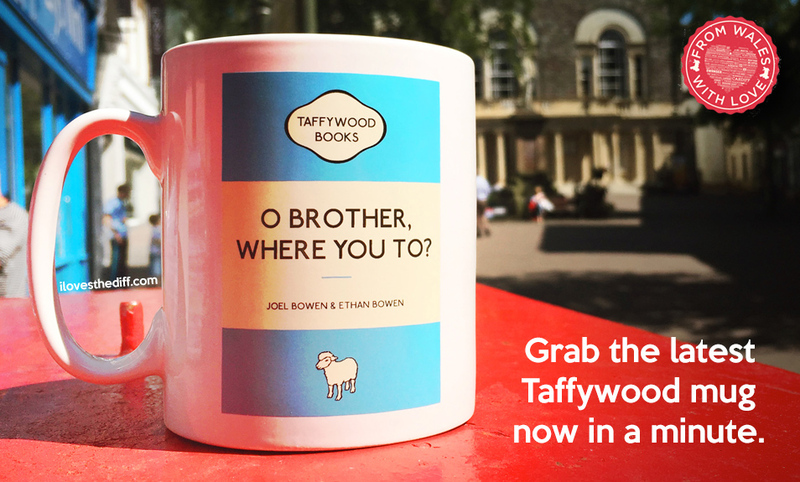 We charge just £2.60 for postage and packing for a single Taffywood mug. Actual postage alone costs £3.40 these days, so we thought this pretty reasonable. Mugs are sent in polystyrene boxes to ensure they arrive in one piece. If you'd rather buy them in the clear presentation boxes, then you'll have to hunt down a stockist. 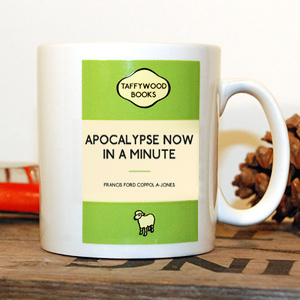 This is made easier by our stockists page. Multiple orders within Cardiff may be collected from our Roath HQ by appointment. Please email to discuss this. 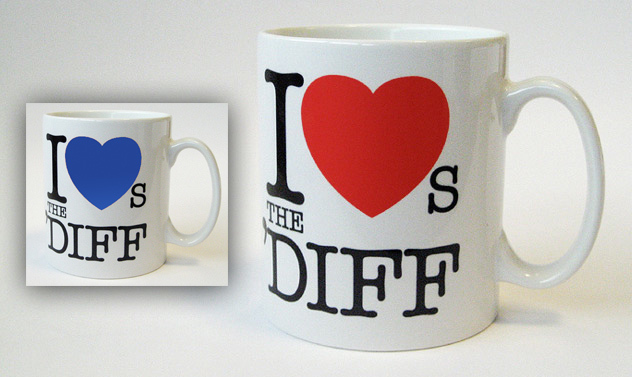 I Loves The 'Diff™ logo mugs are once again available with a RED or a BLUE heart and at a new lower price of just £6.99 (plus £3 p&p). 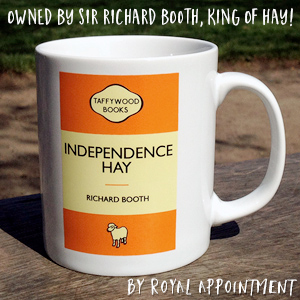 'Appy days, like! 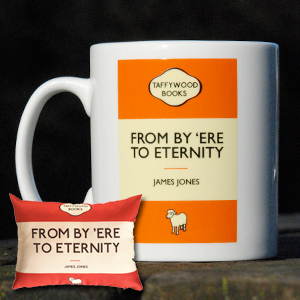 The logo, by the way, is on both sides, so you gets 2 logos of the same colour per mug. 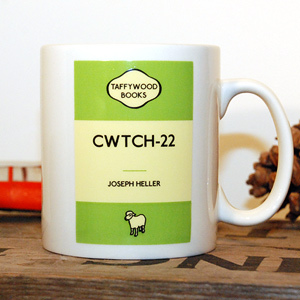 I Loves The 'Diff™ and the I Loves The 'Diff Logo, Cardiffornia™, Taffywood™ and Cwtch-22™ are Trademarks of Tiger Bay Trading Ltd. Website and its contents Copyright © Tiger Bay Trading Ltd. Coming to you live and direct from the People's Republic of Roath. All rights reserved. Safe as.